You have probably heard something mentioned about omega-3 in the newspapers or magazines in the past few years and nutritional experts have now found that this substance is extremely good for both the mind and body.Omega-3 is now classed as a so called ‘superfood’ and is something we should all be taking in our diet and encouraging our children to consume also. Omega-3 is an essential fatty acid that is needed for growth and development. The acids found in this compound are needed to help maintain certain chemical reactions and chains of event in the body. 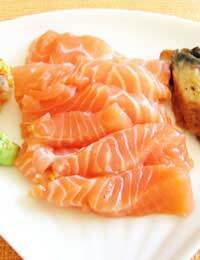 Omega-3 is part of the group of substances that make up the unsaturated fats part of the known group of fats. It is the healthiest form of fat and is needed to maintain good health. How Can It Benefit Health? Experts believe that the role of omega-3 in the body is quite extensive. It is commonly known to encourage growth for growing children and young adults but it is also good for keeping blood pressure within normal limits, aiding circulation, lessening the chances of developing coronary heart disease and also plays a role in mental health as well. Scientists have found that it may help lessen the symptoms of ADHD, decrease the severity of depression and also improve behavioural problems. There is also some research that proves omega-3 can help improve a person’s brain function and power and increase intelligence which is why manufacturers are keen to include omega-3 supplements in many products aimed at children. The best sources of omega-3 include oily fish, soya, dark green leafy vegetables such as dark cabbage and some nuts and seeds. Oily fish includes salmon, mackerel, sardines and tuna, though the tuna should be fresh and not tinned to receive the most benefit. Experts realise that it may be difficult to eat these types of foods every day so they have permitted supplements to be added to many other types of food such as milk, cereal, yoghurts and bread.There is also some degree of debate as to whether children should be given a regular supplement of the substance but this is still being discussed as many people believe that filling children with supplements excused a poor diet and will not encourage healthy eating. Can I Have Too Much Of It? There is some evidence to suggest that some groups of people should speak to their doctor before taking any omega-3 supplements especially those with diabetes, chronic angina, heart failure and those taking regular aspirin or warfarin. Like most food products it is not advised that you stick with eating the products that contain omega-3 and nothing else. A healthy diet should be varied and interesting so limiting your choices to just a few items is not going to do you any good. Cooking should be fun and learning new recipes can help discover new ways of taking essential nutrients into the diet. It is recommended that we all stick to the recommendation set out by the authorities that state exactly how much of each substance we should be eating. Looking at the research it is hard to ignore the evidence that shows just how good omega-3 is for our mind and body and we should all be making more effort to include omega-3 rich products in our daily diet.